You don’t need to jump off buildings with a wingsuit to live on the edge. Neither do you have to participate in extreme activities that can get you killed to find fulfillment and answer your calling in life. You can achieve all that by just running as fast as you can. And then, in an instant, life changes. The unexpected happens, and life as we know it will never be the same. While in school, Bob Lida first ran the half-mile. It didn’t take long for a stress fracture to put an end to that dream. A few years later, attending Kansas University, he took up cross-country running, hoping for a better outcome. It was his coach who convinced him he would do better as a sprinter, after his successes in the 400m events. But not for long—a sciatica nerve injury derailed this latest dream, and he pursued a career in advertising. At age 40, Bob Lida, desperate to fill the void, returned to the short track as a master’s athlete. But within months, he was drawn back to running longer road races and marathons. But something was still missing—he craved speed. It would take him twenty years to fully realize this, as he kept pushing himself for faster times running long races, breaking down with injury after injury. Then, at age 60, in 1997, when he placed fifth in a 200m race, a new fire was lit. He knew now, he had found his sweet spot. Over the next twenty years, Mr. Lida trained with renewed focus, each year running better. Presently, he is ranked # 1 in the world in the 60-meter dash. Run as fast as you can. What more can you do? No half-measures. Give your all, your best. Complacency kills. Keep pushing. If one thing doesn’t work, try something different. Giving up is not an option. Stick with what you’re good at. According to Tim Ferriss in Tools of Titans, it is crucial to know your strengths and develop habits around it. Always master new abilities, but recognize your strengths. To find your edge, you need “speed.” Find your “flow.” Find your sweet spot. Exercise smart—avoid injuries. Train hard. Learn from the best in the field; learn from the masters. The social aspects of the sport are crucial. Reach out to others. Building friendships are vital. Don’t rush through your day. Give back. In order to grow, you have to give back. Teach. Become a mentor, a coach—invest in other’s lives. It enriches your life far beyond the financial. You don’t need to jump off a high-rise with a wingsuit to live on the edge. 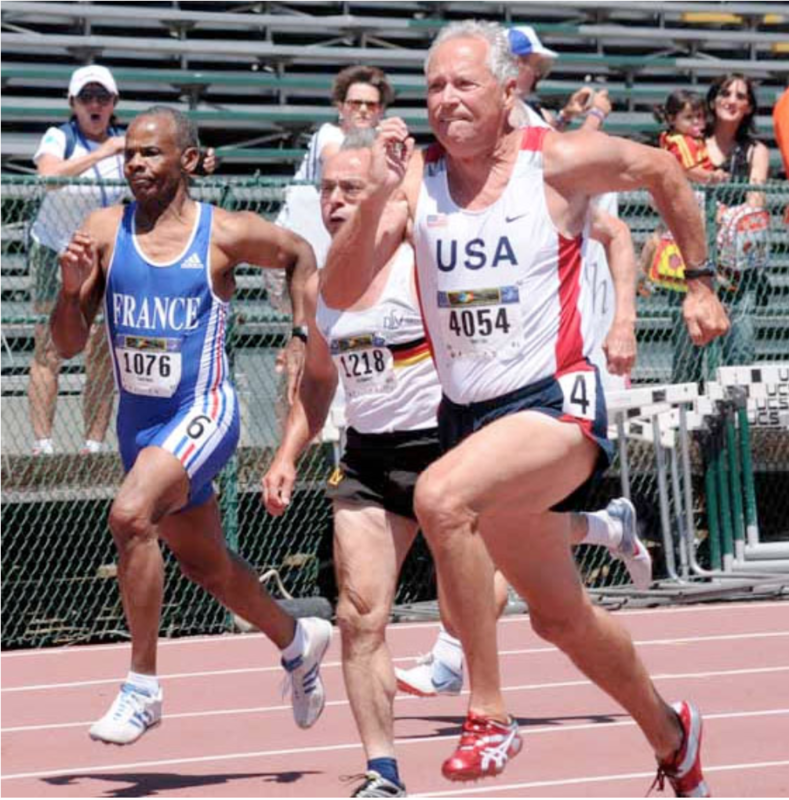 You can find your speed, similar to 81-year-old Mr. Lida, without competing in the 60m-dash. Call to action: Pick THREE from the list of seven I’ve given you and see how they work for you. Remember while “running as fast as you can”: don’t rush through your day. Cherish each minute, each hour. Be kind to everyone you meet. You have today. Be wise how you use it. If you enjoyed this story, check out a collection of my short stories here. Tools of Titans. Tim Ferriss. The tactics, routines, and habits of billionaires, icons, and world-class performers.